Charged with Drug Possession in Belmar? We can help. Drug crimes are among the most serious in New Jersey. If convicted, defendants face potentially life-altering penalties, up to and including the imposition of a jail term. As a result, if you are charged with a drug offense in Belmar, New Jersey, or anywhere else in the state, it is critical that you have an experienced Belmar, New Jersey criminal defense attorney representing you. Our law firm is located just a few short minutes from the Belmar Municipal Court, and we have appeared on cases of this nature in Belmar. Police in Belmar, New Jersey can bring charges for possession of any illegal drug or substance, including marijuana, hallucinogens, methamphetamines, heroin and cocaine. Crimes in Belmar, NJ involving allegations of drug distribution are generally more serious and present more significant penalties. Marijuana charges are among the most common in Belmar, NJ and other New Jersey criminal courts. A person can be charged in Belmar for possessing even seemingly miniscule amounts of the drug, including a seed or residue in a pipe. Charges of this nature can result from motor vehicle stops, searches of person or property, police intervention in college parties, etc. It is also common for individuals in Belmar, NJ to be charged with possession of drug paraphernalia in connection with marijuana cases. These items can include pipes, bags, rolling papers, and other things. If you are charged with marijuana possession in Belmar, or anywhere else in New Jersey, it is important that you have an experienced Belmar, NJ drug possession lawyer. These cases often involve complex legal issues, including search and seizure, chemical testing, custody of lab results and proof of actual possession. Your Belmar marijuana possession attorney can review all of the evidence presented against you and recommend options for defense. Charges may also be brought in Belmar for unlawful possession of prescription drugs. In fact, charges involving pharmaceutical drugs, such as pain killers, are becoming more common and widespread. If an individual is found to be under the influence of prescription medication in Belmar for which he or she does not possess a prescription, such possession may result in criminal charges. Penalties associated with these charges often hinge on the amount of the prescription drugs possessed. For instance, a defendant convicted in Belmar of possessing five or more doses of a prescription drug may be charged with a fourth degree crime, which can result in up to 18 months in jail. If the possession in Belmar consists of four or less doses, the defendant may be charged with a disorderly persons offense. It is also unlawful for a person to distribute prescription drugs in Belmar without a license to do so. As with possession charges, the penalties are based on the amount distributed: second degree charges for 100 doses or more, third degree charges for 5 to 100 doses, fourth degree charges for four or less doses. These charges all expose a defendant to the potential for considerable time in jail, ranging from 18 months to 10 years for each charge. The law also prohibits forgery of prescription scripts and prescription drug fraud in Belmar, both crimes of the third degree. If convicted, defendants face up to 5 years in state prison. Generally, allegations involving distribution of drugs in Belmar present more significant penalties. Penalties are often determined based on the type and amount of the drugs possessed. Also, consequences may be increased based on the location of the defendant at the time of arrest. For instance, if a defendant is found within a certain distance from a school or public park in Belmar, the penalties are enhanced. We are experienced New Jersey drug possession attorneys. We have handled many drug cases in Belmar and throughout New Jersey. We will defend your rights and vigorously pursue all available legal defenses. The right Belmar drug lawyer can make all the difference. Contact our offices for a free consultation. 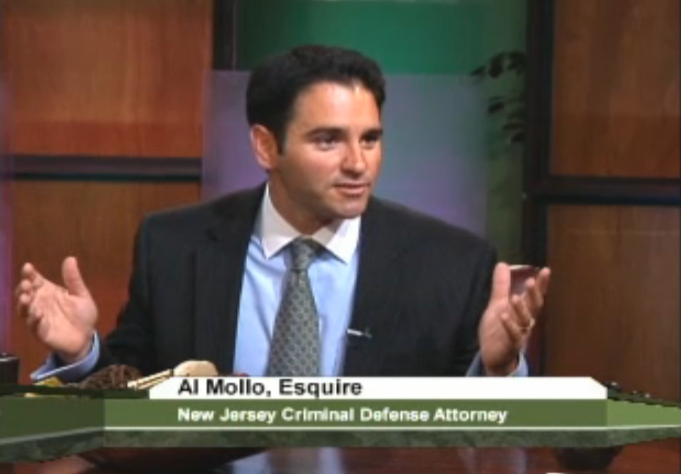 You can reach us at (732) 747-1844 or e-mail Al Mollo directly at amollo@mollolawfirm.com. Thank you.